Renowned jazz musicians Herb Alpert, Kenny Burrell and Herbie Hancock have launched a groundbreaking partnership between the UCLA Herb Alpert School of Music and the Thelonious Monk Institute of Jazz, a nonprofit organization devoted to jazz education. The collaboration will enable six to eight talented young musicians to study and perform together in an ensemble during a two-year institute program, with the option of pursuing the newly created master of music degree in jazz at the Herb Alpert School of Music. The students will be mentored by leaders in the world of jazz while receiving a comprehensive education in music theory, composition and performance from classical and world music experts at UCLA, as well as instruction in the business of music, marketing and outreach. As part of the program, visiting jazz masters and students in the program will present master classes at UCLA and community outreach programs across Los Angeles. Each student will provide free music instruction at a Los Angeles public school at least once a week. The students will also perform across the United States and internationally. "This partnership establishes an exceptional program that is unmatched in the United States," UCLA Chancellor Gene Block said. "The unique educational vision of the Herb Alpert School of Music, united with the intense jazz emphasis of the Thelonious Monk Institute, creates an excellent learning environment for our students to pursue successful careers in jazz performance." 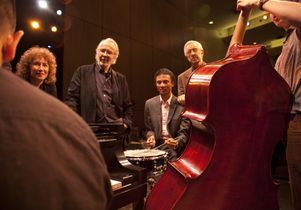 The idea of joining the Thelonious Monk Institute and UCLA was introduced by the Herb Alpert Foundation, which has provided long-term support to both the institute and the school, and the planning process has culminated in the development of the unique master's program specific to jazz performance. 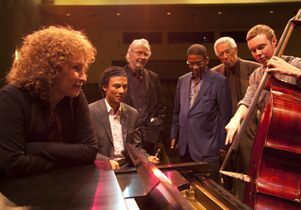 "The institute and I are so grateful to Herb and Lani and the Herb Alpert Foundation for making this partnership possible," said Hancock, a world-renowned jazz pianist and composer and chairman of the institute. 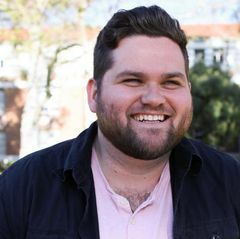 "I am thrilled that the program will be located in my hometown, and I plan to spend a lot of time on the UCLA campus working with the young musicians. With the visionary UCLA Herb Alpert School of Music joining forces with the institute — and its longtime track record of identifying, nurturing and launching the careers of young artists — I believe this program will take jazz education to new levels and it represents the future of jazz." The Herb Alpert School of Music, through a $30 million gift from Herb Alpert and his wife, Lani Hall Alpert, combines the diverse genres of world music, classical western music, jazz and popular music under one umbrella, allowing students to learn about many aspects of music, the music industry and the future of music globally. Students have the opportunity to work with the school's distinguished faculty in music performance, composition, ethnomusicology and musicology. Each student in the highly select group of gifted young musicians accepted into the Thelonious Monk Institute of Jazz is provided a full scholarship. In this performance-based program, the students will study with the Herb Alpert School of Music's roster of outstanding jazz teachers, including Kenny Burrell and James Newton, along with an impressive list of guest artists, including Herbie Hancock, Clark Terry, Wayne Shorter, Jimmy Heath and Danilo Perez. "The Thelonious Monk Institute of Jazz has long been a leader in jazz education and performance," said jazz guitar pioneer and composer Burrell, a professor of ethnomusicology and music and director of jazz studies at UCLA. "We are fortunate to work side by side with the institute's instructors, allowing our students to absorb great information and techniques from world-renowned musicians." "As a supporter of both programs, I am thrilled to see the extraordinary opportunity UCLA students will be given through this new association," said Alpert, a jazz legend, philanthropist and artist. "It's something we envisioned for a long time, and it's very gratifying to see it all come together. 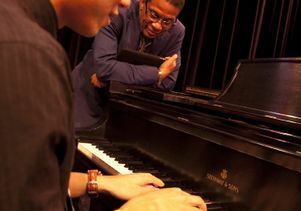 The Thelonious Monk Institute of Jazz will move to the UCLA campus in the summer of 2012, with the first class of graduate students beginning instruction in fall 2012. The Thelonious Monk Institute of Jazz is a nonprofit education organization established in memory of Thelonious Monk, the legendary jazz pianist and composer. 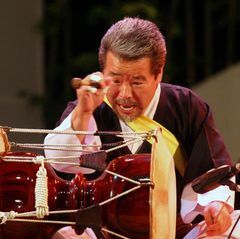 Monk was one of the primary architects of bebop, and his impact as both performer and composer has had a profound influence on every genre of music. His more than 70 compositions are classics that continue to inspire artists in all disciplines. Monk believed the best way to learn jazz was from a master of the music. 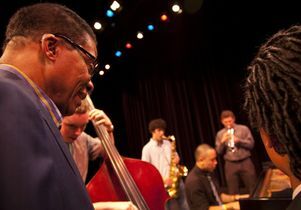 The institute follows that same philosophy by bringing together the greatest living jazz musicians to teach and inspire young people, offering the most promising young musicians college-level training by America's jazz masters through its fellowship program in jazz performance and presenting public school–based jazz education programs around the world. Helping to fill the tremendous void in arts education left by budget cuts in public school funding, the institute provides school programs free of charge and uses jazz as the medium to encourage imaginative thinking, creativity, a positive self-image and respect for one's own and others' cultural heritage. 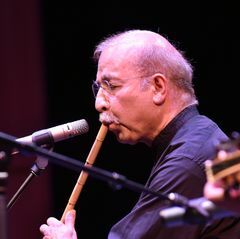 The UCLA Herb Alpert School of Music is devoted to the performance and study of music in all of its global diversity, including world music, popular music, jazz and classical music. The school's curriculum combines musical diversity, interdisciplinary studies, liberal arts values and professional training in a way that takes advantage of the school's position within a great research university. Students develop the practical and critical skills that prepare them for careers not only in professional performance and academia but in music journalism, the entertainment business, and the public and nonprofit sectors.